Ready for the next frontier in social media? According to social media strategist Jeremiah Owyang, website integration is at the top of marketers lists for their social media strategy this year. 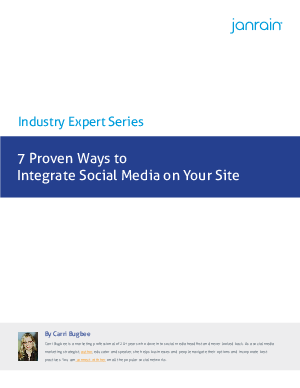 To help bridge the gap between corporate needs and expertise, here is a helpful list of the top social media integration tools marketers and web strategists need right now. These strategies will help make your business website more relevant, amplify the quantity and quality of word-of-mouth marketing, build trust and loyalty, enhance stickiness and multiply conversions.